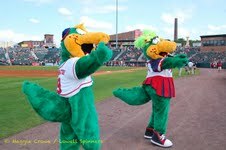 While the Lowell Spinners players started off their first series of the season on Friday night, the Spinterns were able to showcase their hard work from the last month as we introduced some new on field events between innings, unveiled our new Mystery Machine, and even presented our new and improved Canaligator and Allie-gator mascots to the LeLacheur faithful. 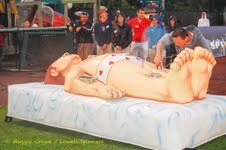 On Friday night, fans saw first hand the human version of one of our favorite childhood board games “Operation” as one fan was given the opportunity to play Operation on a life size board game. His efforts won him two tickets to the Futures at Fenway game on Sunday July 13. 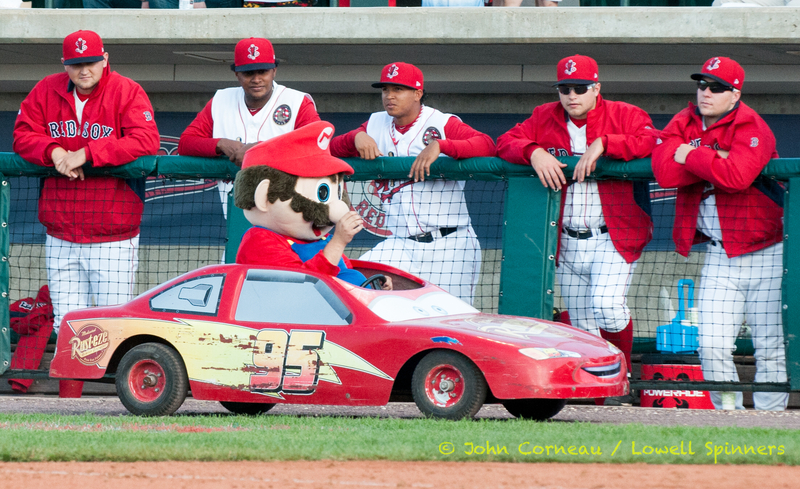 Saturday and Sunday’s games also featured human Mario Kart, as Mario and Luigi raced the length of the warning track in the Cyclo Max 44 Go-Carts, with Mario winning both races easily, and leaving Luigi with some revenge that he will sure to conquer this season. In each of the three games this series, fans got to see the newest members to the mascot crew as Minion Kevin and Minion Dave from “Despicable Me” participated in their very own Minion race, a new tradition that was favorite among the youth in the crowd and one that fans can expect on a regular basis throughout the season. 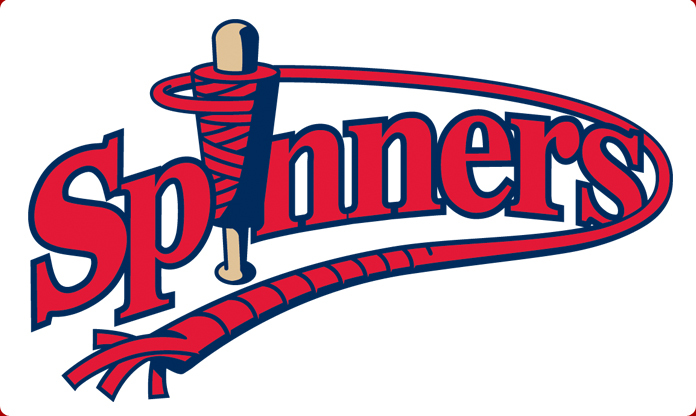 Finally, the Lowell Spinners Dance Team was here for two games to help cheer on the players, get the crowd involved in games, and take pictures with fans. They will be at several games this season! As for what events are ahead, Friday night starts a seven-game home series that features a poster giveaway and Fireworks, followed by Chelmsford Day and a Flat-Screen Television Giveaway to 9 lucky fans on Saturday and Tooth Brush Holder Giveaway on Sunday with a Post Game Concert featuring Jimmy Needham as part of our Faith and Family Day. Next week also features the World Series Trophies, Ryan Westmoreland night, and ends with Pedro Martinez Bobblehead Giveaway to the first 1,000 fans on Thursday June 26. We hope to see everyone at the park soon!